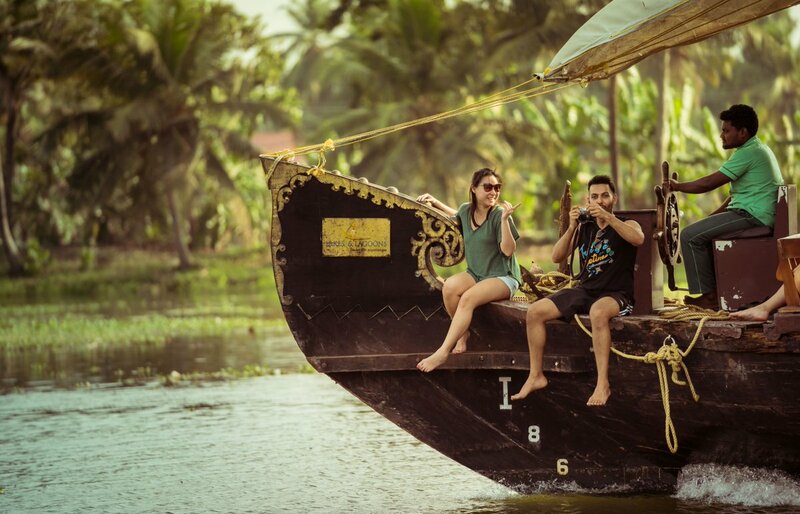 The original houseboats are charmingly restored & refurbished barges with bamboo peel fixtures, coir mats, coconut leaf roofs and rich wood wall panelling for early 17-19th century vibe that hails Kerala’s inland navigation, wayfaring and trading legacy. Kerala Backwaters still maintains the beauty of its rustic surroundings on the banks of its Lake & lagoons. Inland ports like Kollam (Quilon), Alappuzha (Aleppey), and Kottayam, are the famous Backwater towns of Kerala, were houseboat stays are more outspread to provide constantly changing scenery and views. Sailing on Kerala Backwaters in unique Kettuvallams (Houseboats) and experiencing the sheer pleasure of rubbing shoulders with nature is not something one tends to forget easily, especially after living it. Want to know more about : 7 Astounding Backwaters of Kerala for wanderers & backwater enthusiasts ! Take your pick from a delightful assortment of houseboat stays, ranging from the standard to ultra luxury for unwinding on backwater banks. Houseboat stays will transport you into a deep trance where your mind and body are pampered like they were meant to be ” Connect with nature”. A cruise through the canals, vast expanses of lake which every visitor must experience, gives you a peek into some of the most extraordinary examples. To fully immerse yourself in houseboat stays. A houseboat is, very plainly, a local barge of yester-years converted into a floating home stay to explore backwaters in one’s own pace with no fixed plot. For first-time travellers & especially honeymooners, a houseboat will feel less formal with no preset rules. Houseboats are far better than a large impersonal hotel filled with grim faces & ever engaged staff running pillar to post. Houseboat crews are friendlier and the service is more personalised, because they can afford to cater to the demands of their few guests, as contrasting to a hotel that has to take care of hundreds of people. 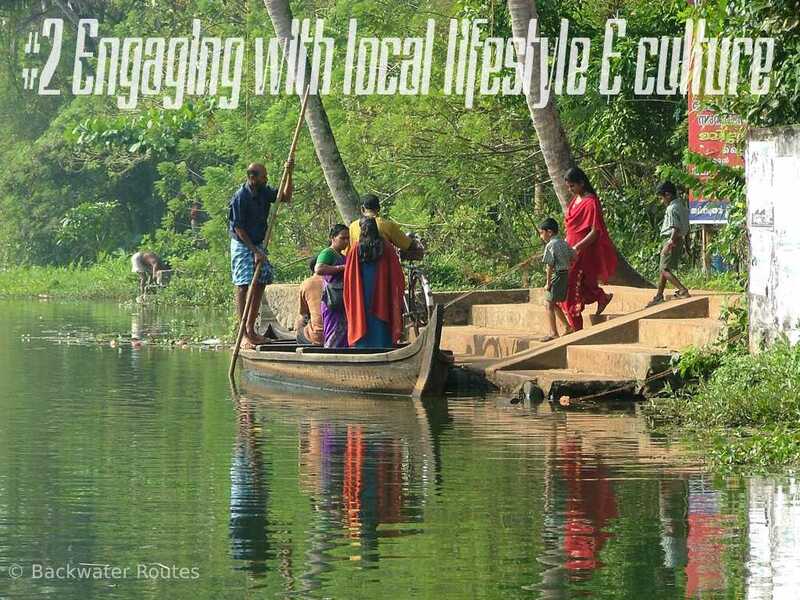 It weaves a perfect environment to observe backwater/local life from close quarters without intruding into local’s privacy. The houseboat has got all creature comforts, with dedicated crew and elegant furnishings aesthetically combining traditional charm with modern facilities. You may regain a memorable experience that you will cherish all your life while staying aboard a houseboat on the tranquil backwaters as a free bird. No one knows a place better than the local folks, and by staying with someone local you have access to the best information of the backwater destination. While engaging with the local folks you experience their warmth and it also would give opportunity to learn about local culture, way of life and customary. In contrary to the well marketed or the exaggerated picture of tourism councils or recurring information available on public domain you may get updated and actual information from these local hosts while on houseboat stays. Plus, houseboat owners/crews make it their business to know more about the local area so that they can point out shortcuts, hidden gems of locale and scenic routes to their guests, making exploring all the more convenient. Houseboat stays give ample opportunity to roam around in the rural ambiance among truly welcoming people of the villages – enjoying their company, mingling with them in celebrating their festivals and understanding characteristic of place & people. Your houseboat host may arrange for local cultural programmes onboard houseboat if someone is interested. Menus aboard houseboat are usually 100% local flavor unless you are the annoying type of traveller who wants to eat Aloo Gobi or Macher Dompukht or dhokla or fafda in Kerala. Yes, so your hosts can make healthy Kumarakom Duck roast or Kuttanad Karimeen Policchathu or Avoli Alfam for fussy eaters. A typical traditional meal or Kerala feast is served on a freshly cut banana leaf, which is quite appealing. Travelers should use this wonderful opportunity to try the local flavour of the place & fell the cultural essence of Backwaters. Further cooking enthusiasts can understand cooking process and ingredients used by experimenting with them or experiment on local savours & taking away many family ‘secrets’ coming down generations. 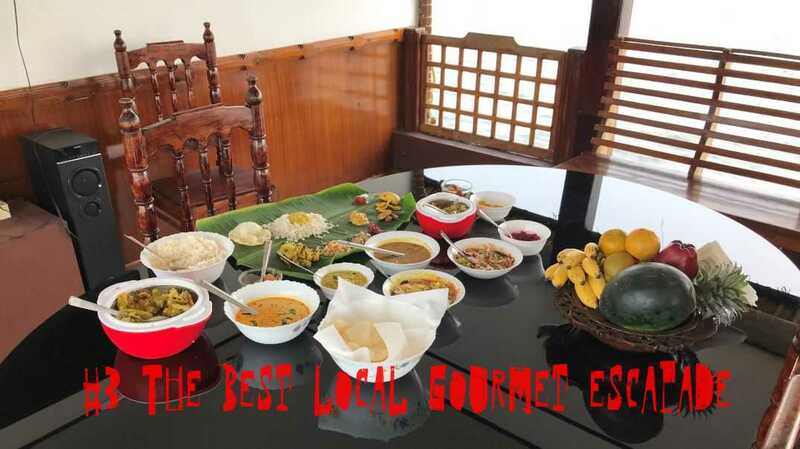 The Kerala has such a rich cuisine heritage–every five miles the taste and texture of the staple dish of the state changes–and this is your chance to try something new. Away from the hustle-bustle of the city life, these floating homes on serene and tranquil waters hold the power to transport a person into another world where peace reigns. Being petite & furtive, at any point you won’t have more than yourself or your group aboard a private houseboat. This means peace and quiet and more quality time spent with you or your family and friends of same wavelength. 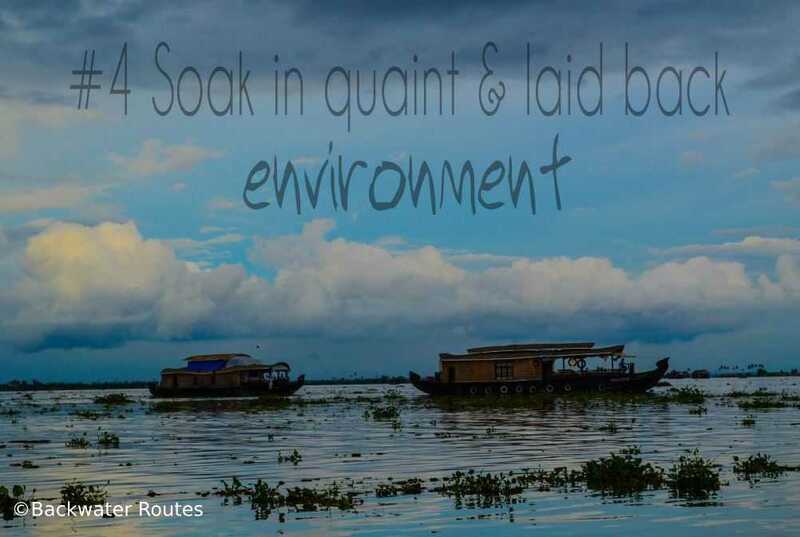 These houseboats also give you access to the more remote areas of the backwaters, where no vehicle can take you or you can reach any how, and just being there is great as these unfrequented, less inhabited areas offer a restoring solitude. 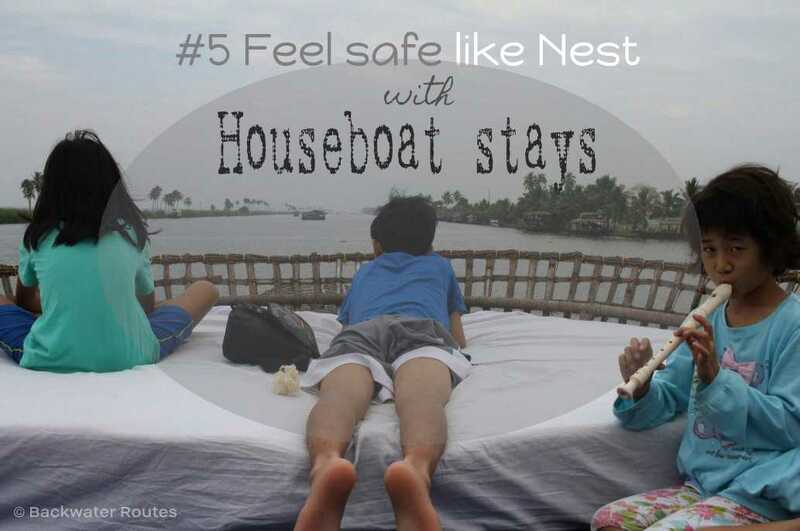 Houseboats are largely run by local families or a small staff who are passionate about backwaters & houseboat stays. No area of houseboat is made out of bounds for even kids and even hosts do indulge in activities like angling, card games with guests making it more family affair. Besides the staff are more socially connected people & popular faces among the locale making it safer to stay with them. Further their good knowledge of local eco system can in turn can benefit travelers in numerous ways. 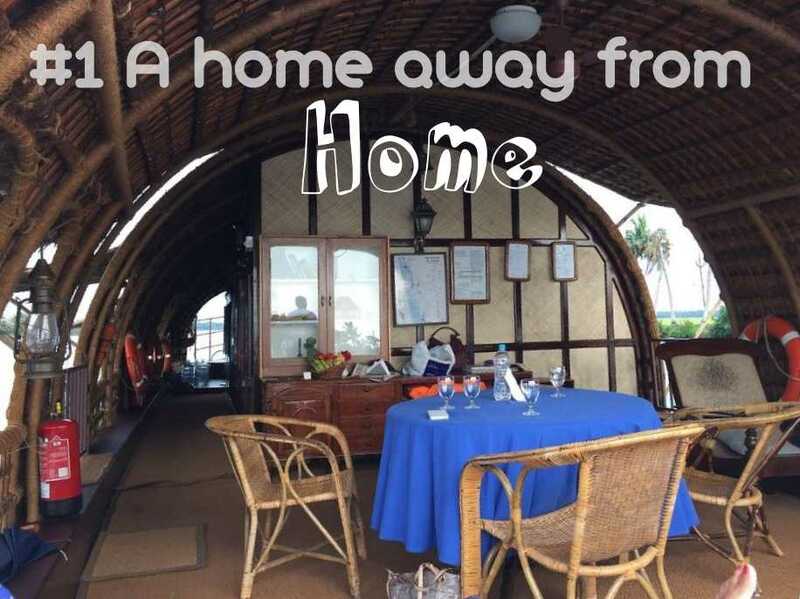 Whether it is a Luxurious Water Villa or Elaganta of Backwater Routes in Kumarakom or a simple single bedroom standard houseboat, the hosts themselves take care of everything. It is in their own interest to ensure that theirs is a safe place for travellers to have a pleasant houseboat stay aboard. While living with a local folk gives you company and makes you feel safe, hosts also ensure that you have enough privacy by remaining themselves in their quarters. Both safety and privacy are ensured as when with family or friends. Suggested Reads : 12 Basic Things Every Houseboats In Kerala Backwaters Must Offer ! The most pragmatic reason to choose houseboat stays over a hotel is, of course, that it’s opens to new friendships in a distant landscape, who would become synonym for the destination itself. As in houseboat stays you would be moving for the half of the day you end up meeting many cheerful souls.Unlike hotels where you find all from same profession, here you may encounter with Sailor on sabbatical, a retired Soldier, a social worker and finally a successful entrepreneur as host who have immense amount of stories to share with you. Houseboat stay owners/ staffs tend to be more curious & non judgmental, that itself prompts guests to initiate talks share stories / information’s unhurried. During the course of houseboat stay the conversations/ interactions become zealous and enlightening, and you might just form a new friendship for life. Onboard Houseboat stays, you are contributing to the livelihood of the local community for the sheer passion for hospitality. It has also been identified that one means of achieving sustainable tourism is through the effective engagement of local communities. To ensure the backwaters remain a beautiful place for visitors and residents alike the houseboats are built in degradable eco friendly materials, thereby visitors indirectly contributing to conservation of environment.The boutique houseboats are decorated with bamboo peels and feature local curios, oil lit lanterns, wood and cane furniture, locally made coir mats and heavy linen fabrics sourced from locals. Further while at houseboat stays hosts or local crews makes sense of feeling honored and thrills at the radical social control it offers. Often, tourists also end up buying food from local shacks, handicraft from local artisans that your hosts may refer or recommend and, best of all, return and spread the good word around. It’s a great way of giving back to the chosen place of your travel. the identity and sense of backwaters home in its entirety is portrayed supplying an authentic tourism experience— makes sense of feeling honored and thrills at the radical social control.
. Also, check out 07 Houseboats in Kumarakom Backwaters for Unmarried couples for a stay ! ← 12 Basic Things Every Houseboats In Kerala Backwaters Must Offer !